Link Global Management can provide a full range of payroll services in Senegal. The individual will be engaged on our payroll and income is paid in the form of salary, allowances and expenses, the proportion of each part depending on individual circumstances. Link Global Management will discuss your personal circumstances with you and help you to minimise your tax and social security liabilities, within the boundaries of Senegalese legislation. Income is managed tax efficiently, not just in Senegal but also in any other country where there may be a liability. A tax return is filed each year in Senegal with advice and assistance from Link Global Management who will also provide help with filing tax returns elsewhere, if required. Residents of Senegal are taxed on worldwide income. Nonresidents are taxed on their Senegalese-source income only. 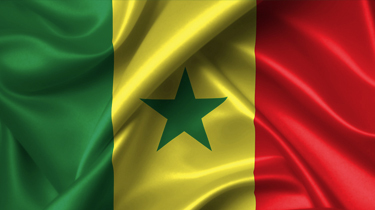 A nonresident individual is taxable on income derived from services performed in Senegal. In the absence of an applicable tax treaty, 20% withholding tax is levied on remuneration paid by a resident to a nonresident for any services provided or used in Senegal. This tax must be remitted by the Senegalese payer within 15 days following the payment of remuneration to the nonresident. The with holding tax is a final tax for nonresidents. Employees in Senegal are subject only to progressive income tax rates up to 40%. The recent tax amendment eliminated the proportional tax rate of 11%. Under the tax law, the progressive rates are applied to taxable income after deduction of a lump-sum amount representing retirement contributions. This lump-sum deduction equals 30% of taxable income, with an annual ceiling of XOF 900,000.